This post originally appeared as a guest post on SprinklePop’s blog. 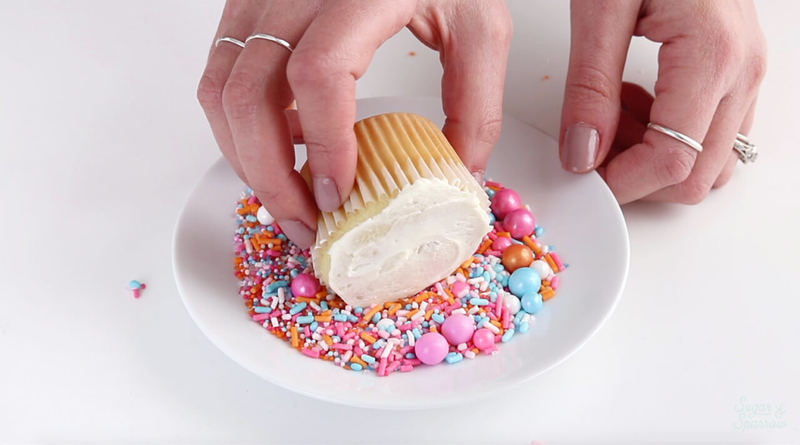 It’s too good not to re-share here, because these cupcakes are one of my fave looks for Spring. Enjoy! 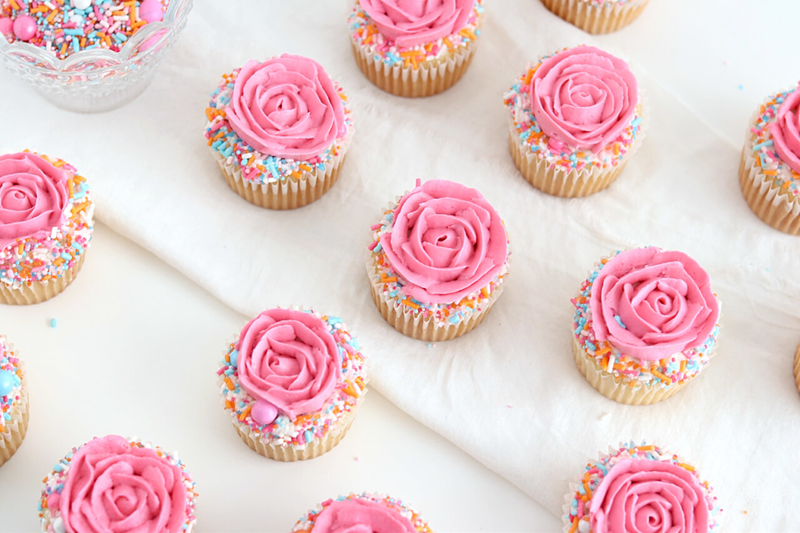 Spring deserves to be celebrated, and that’s just what I think of when I look at these cupcakes. 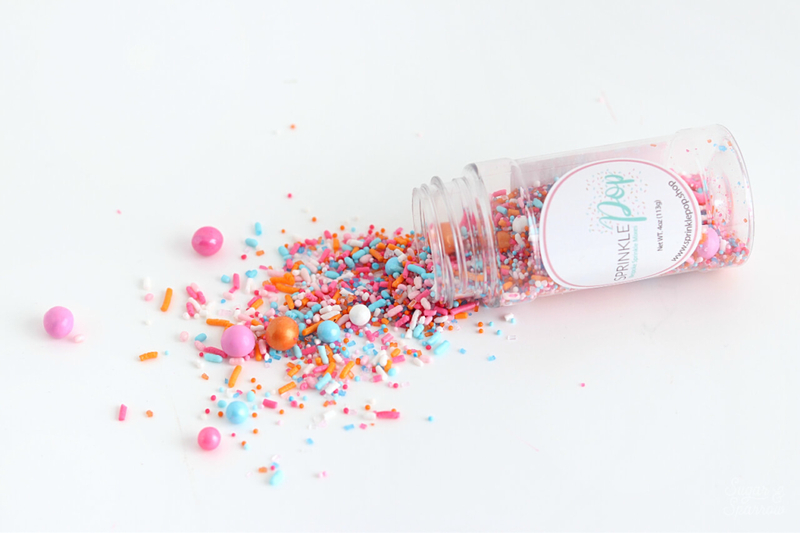 They remind me of a Spring parade and kindof make me want to throw confetti in the air because warmer weather is on the way! 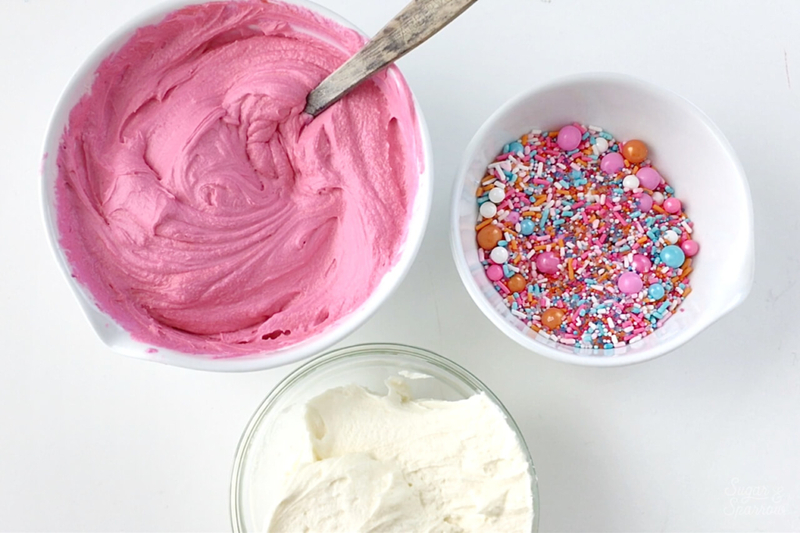 The Sorbeto sprinkle mix by SprinklePop is like a happy color explosion, and I think it’s the perfect way to add a little more fun to these buttercream flower cupcakes. 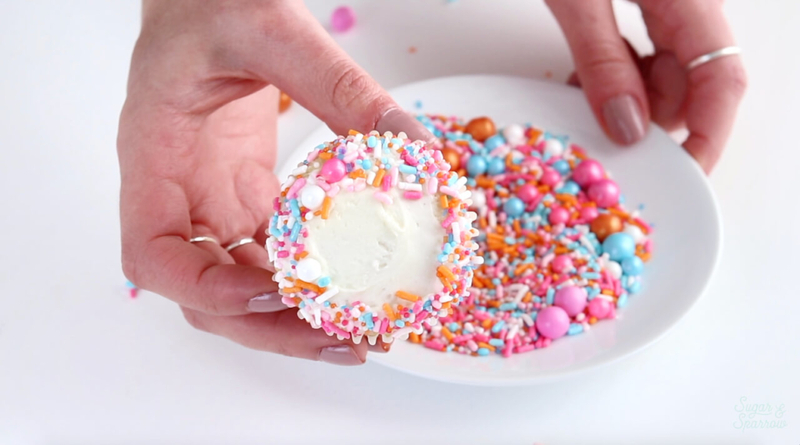 It’s pretty much the best way to welcome Spring if you’re as excited as I am about it! 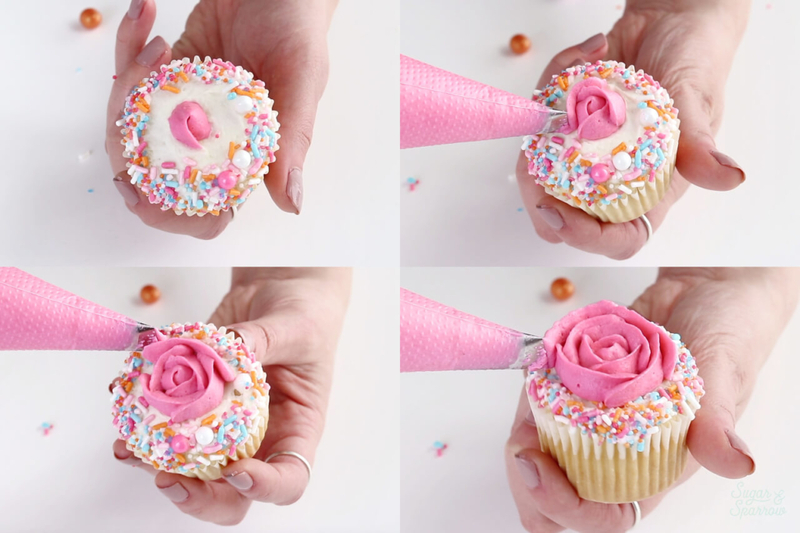 If you’ve never piped a buttercream rose before, fear not! 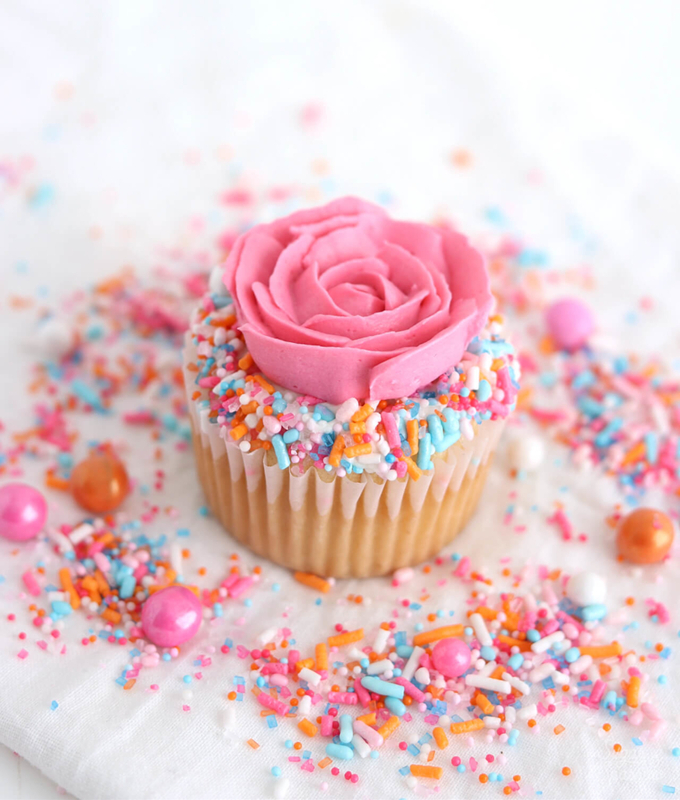 It’s super easy with the right piping tip, a little practice, and the tutorial instructions below. 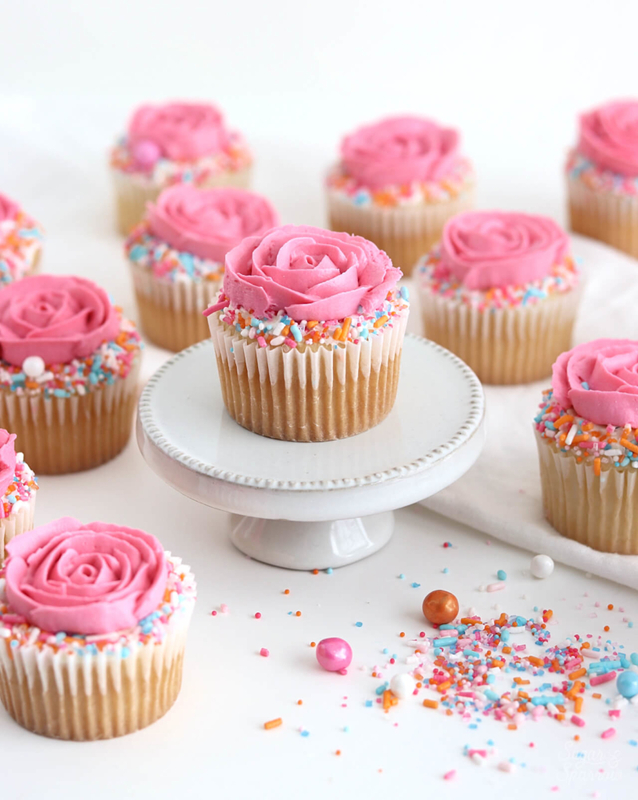 And if you’re not comfortable with piping a rose, you could always swap it out with a buttercream rosette using Wilton Tip 1M. 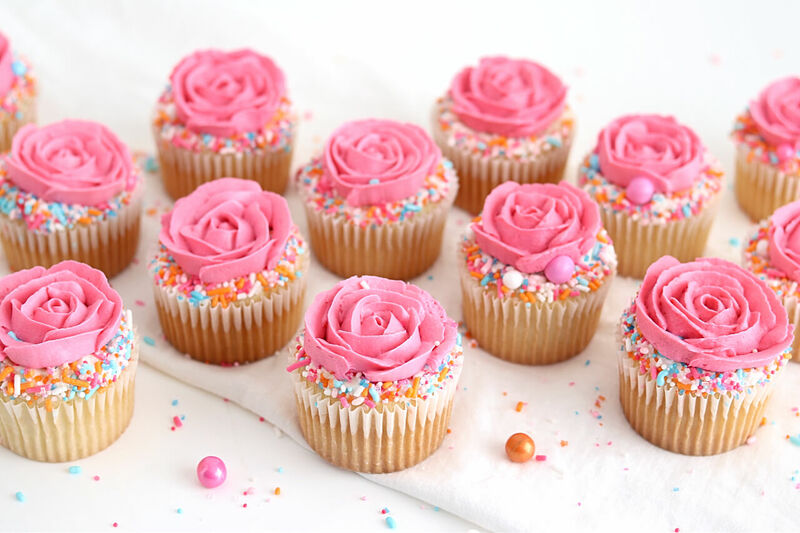 I’m sure whatever kind of floral technique you use for the cupcake toppers, you’ll end up with something beautiful! 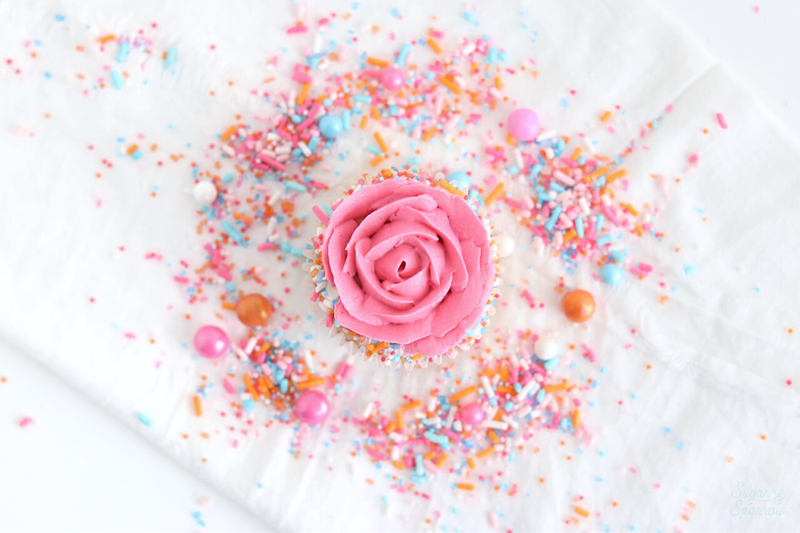 Wishing you all the best Spring and can’t wait to see what you’re caking this season. Let me know what bakes you’re looking forward to in the comments or tag me on Instagram if you’ve found my recipes and/or tutorials especially inspiring! Next PostAmalfi Dècor Cake Stand Giveaway!